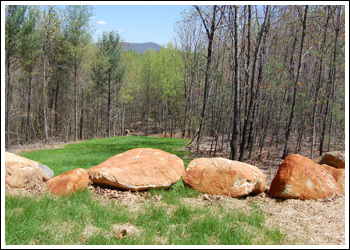 Jenkins Excavating & Logging has years of experience in general engineering projects. With a wide range of excavation equipment and trucking at hand, our crew excels at mass excavation, clearing, grading, material importing and exporting, underground utilities, drainage, E&S controls, and much more. Jenkins Excavating & Logging is a full service demolition company experienced in handling all types of demo projects. Our crew regularly performs full home and commercial building removal including site demolition of concrete, asphalt and land clearing. Jenkins Excavating & Logging offers a wide range of light and heavy hauling services. Whether its fill dirt, broken concrete or wood debris, rest assured material loading and hauling is completed as quickly and efficiently, as possible. Jenkins Excavating & Logging’s ultimate goal is to satisfy you, the landowner, and provide you with our experience on getting top dollar for your wood lot. You decide the selection of trees to cut and keep. We’ll Pay You Top Dollar! Jenkins Excavating & Logging provides high quality firewood and kindling for sale at a reasonable price. We will deliver right to your home. Call for our pricing and delivery schedules. Summer Savings Available Today – Don’t Delay! Jenkins Excavating & Logging’s land management services are also beneficial in forest fire prevention, land clearing, removing small trees, clearing of overgrown lots, survey clearing, conservation clearing, environmental mulching, invasive growth management, pre-storm site preparation and storm cleanup. 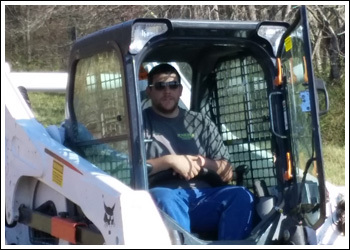 Jenkins Excavating & Logging’s offers residential and commercial services for snow removal and ice management before, during and after storms. Emergency services available 24 hours, 7 days a week to keep our customers safe along with our commercial clients open for business. Annual Contracts & Custom Pricing Available!